OSWEGO, NY – Popular local restaurant Dino’s House of Burgers has returned as a major sponsor of Proud Motorsports and driver Camden Proud ahead of his rookie Supermodified campaign at the Oswego Speedway. Dino’s House of Burgers opened in 2016, but has quickly become an Oswego staple, already establishing itself as one of the area’s favorite quick service, dine-in, and delivery options. It took Dino’s less than a year to create ‘CNY’s Best Burger’ as voted by Syracuse.com. Last season, Dino’s was welcomed as one of Oswego Speedway’s three new concession vendors and began serving their always fresh, never frozen Iowa Premium Black Angus Beef to race fans. Dino’s was an immediate hit at the track as well. Dino’s recently expanded its mouth watering menu to include a host of brand new speciality burgers, sandwiches, mac n’cheese plates, salads, wings, and other snacks, appetizers, and sides which have all received rave reviews from customers. The new and improved menu still includes the award winning Dino Burger, which trades buns for two grilled cheese sandwiches and a burger, fried mozzarella sticks, marinara sauce, and onion rings in between. Other specialty burger options unique to Dino’s include their popular Pepperoni Pizza Burger, Mac n’ Cheese Bacon Burger, Cowboy Burger, Mac n’ Wings Burger, Cajun Ghost Burger, Lobster Burger, and more. All new specialty sandwiches including choices such as The Philly, CBR, Pepperoni Pizza Griller and Chicken Parm haven’t taken long to grow in popularity, joining the highly favored mac n’cheese dishes such as the lobster, buffalo chicken, chili, philly, or chicken bacon ranch. On top of burgers, sandwiches, and mac, Dino’s menu also includes boneless wings, loaded fries, tots, and specialty hot dogs. Other snack options such as fried pickles or mushrooms are offered along with Dino plates, salads, smoothies, and milkshakes. The options are endless. Dino’s House of Burgers is open every day of the week. Hours are 11am to 9pm Sunday through Thursday, and 11am to 10pm on Fridays and Sundays. The restaurant itself is located less than a mile from the Oswego Speedway and can be found at the immediate west end of the bridge along Route 104. Call (315)-216-6536 for delivery. Proud’s first race with the No. 54 Supermodified will be in Oswego’s 69th Season Opener on Saturday, May 25. The program will feature Twin 50 feature events for the Novelis Supermodifieds plus full programs for the Pathfinder Bank SBS and 350 Supermodifieds. For the latest updates from Proud Motorsports, please visit the team’s website at www.ProudMotorsports.com. You can also FOLLOW on Twitter @ProudMtrsports or LIKE on Facebook at Facebook.com/ProudMotorsports. The team can be contacted for sponsorship inquiries via email at proudmotorsports@gmail.com. For more information and a full menu from Dino’s House of Burgers, visit Dino’s online at DinosHouseofBurgers.com. You can also LIKE Dino’s on Facebook at Facebook.com/DinosHouseOf. 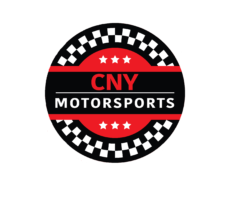 Proud Motorsports is PROUD to be sponsored by: Step One Creative, Ken’s Body Shop, Dino’s House of Burgers, Budget Signs, GJP Italian Eatery of Oswego, Oswego Quality Carpet, Xpress Auto Care, Compass Credit Union, Premier Living Suites, and CentralNewYorkMotorsports.com.